This stunning wreath is sure to add softness and texture to your home. 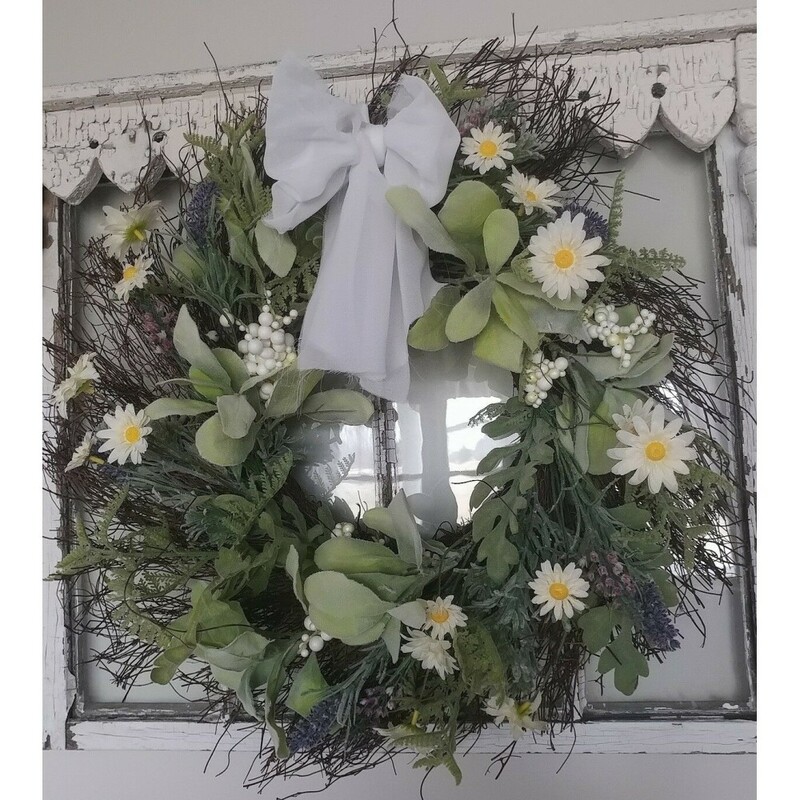 It features soft colored Greenery..Dusty Miller, Fern and other Greens combined with beautiful Daisies, Lavender & White Berries on a Grapevine Twig background for a soft yet rustic feel. 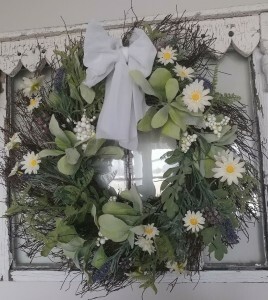 This large beautiful wreath is approx. 22"
Please Note: the tulle bow and vintage window are not included. They are for display purposes only.